Forcing Rohingya back into Myanmar, where they were murdered &amp; raped en masse by the military, without any guarantee that those crimes wont happen again? Bangladesh shouldnt even be considering this. This is madness. 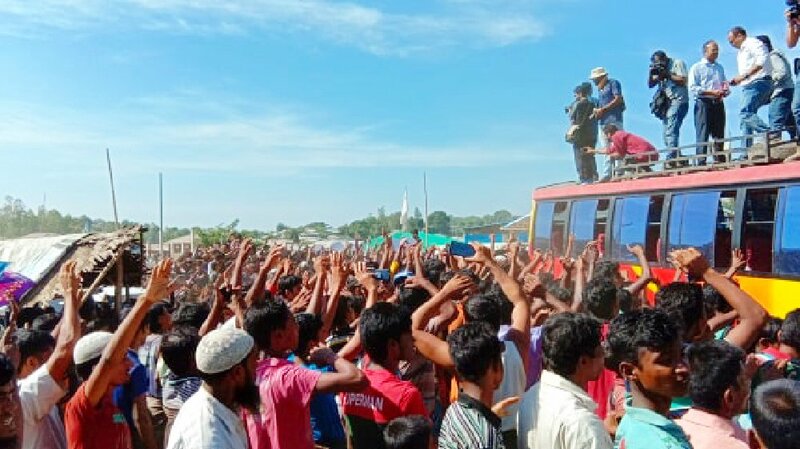 As buses gathered on Thursday to carry returnees to transit camps, around 1,000 Rohingya demonstrated against the repatriations. "We won't force them back," Bangladesh's Rohingya Relief and Repatriation Commissioner, Mohammad Abul Kalam told Sky News.Officials said they would continue to try to encourage refugees to return voluntarily.More than 700,000 Rohingya Muslims fled the brutal crackdown in Myanmar last year.They say soldiers and local Buddhists massacred families, burned hundreds of villages, and carried out gang rapes.UN-mandated investigators have accused the army of "genocidal intent" and ethnic cleansing.Myanmar denies almost all of the allegations, saying security forces were battling terrorists.Attacks by Rohingya insurgents calling themselves the Arakan Rohingya Salvation Army preceded the crackdown. "We want justice for our families who were tortured," a refugee shouted into a megaphone.Citizenship, guaranteed rights and promises they'd be safe were some of the group's demands. BREAKING: Bangladesh says plans to begin repatriation of Rohingya scrapped after officials unable to find anyone willing to go . Forcibly repatriating Rohingya refugees to Myanmar under the current unsafe conditions would be a grave mistake. The Myanmar military has no respect for human rights, and such a move would put the Rohingya in familiar danger. 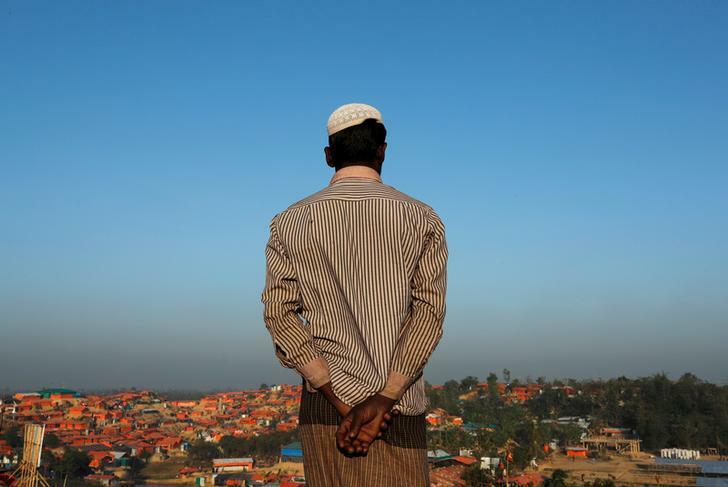 "A UN-brokered deal between Myanmar and Bangladesh says refugees can only be repatriated voluntarily.UN officials and human rights groups cautioned against beginning the process before the refugees' safety had been assured. 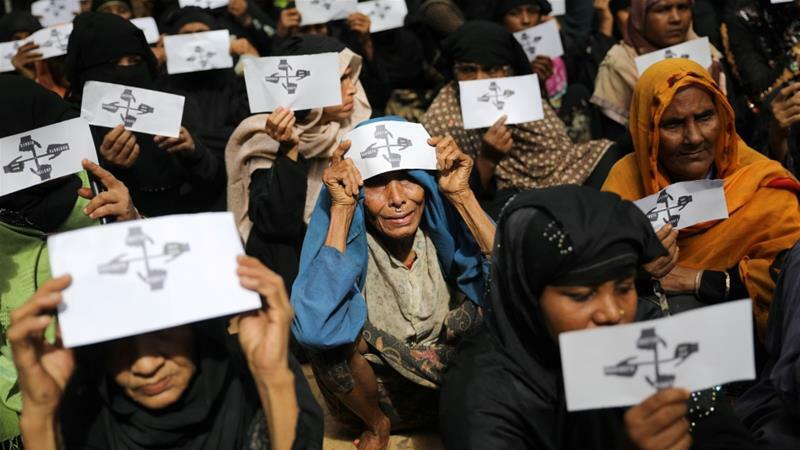 The announcement came after about 1,000 Rohingya demonstrated at a camp in Bangladesh against returning to Myanmar, from where hundreds of thousands fled army-led violence last year.
.@amnesty calls for immediate suspension of repatriation of #Rohingya to #Rakhine State. 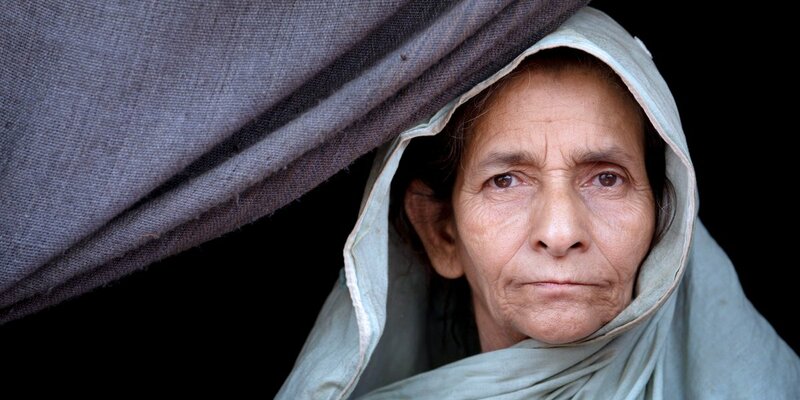 Crimes against humanity are ongoing &amp; 100s of 1000s of remaining Rohingya are in urgent need of protection. Repatriation under these conditions can’t be deemed safe. The first official day of repatriating thousands of Rohingya refugees to Myanmar has ended in failure after no-one agreed to return.Bangladesh was due to send back the first 130 of 2,260 Rohingya scheduled to return in November.Officials compiled a list of names of people that had been picked to return but conceded that so far everyone has refused.